Representing East Lothian Yacht Club, Commodore John Wilcox and honorary secretary (retired) Alastair Macintyre attended the RYA Dinghy Show at Alexandra Palace for the final of the RYA Club of the Year. Not only did they promote ELYC’s outstanding hard work and commitment to sailing they showcased the Club’s stylish new polo shirts. Warmest congratulations to the winners, Royal Torbay Yacht Club. Huge thanks go to all our volunteers and members who make our Club so successful and an amazing place to sail. NBHS and Black & White Publishing are delighted to announce that rugby legend and MND campaigner, Doddie Weir OBE, will talk about his playing career and bestselling autobiography My Name’5 Doddie in the school hall on Wednesday 6th March at 7pm. Stewart Weir, award winning journalist and co-author of Doddie’s autobiography, will join Doddie on stage. Stewart will talk about Doddie’s book, his relationship with Doddie and the process of ghostwriting. Tickets cost £20, each ticket admits up to two people and includes a signed copy of the book. Additional tickets costing £5, admitting one person, can be purchased in conjunction with a £20 ticket (maximum of two £5 tickets can be purchased with one £20 ticket). Tickets can be purchased from the Hockey/Rugby Tuck shop (next to astro) on Saturday morning and any remaining tickets from the school office next week or alternatively contact membership@elyc.org.uk. Proceeds from the ticket sales will go to MND and the PTA. 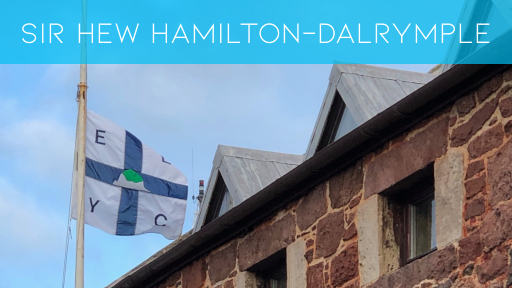 Our Club flag is flying at half-mast as a mark of respect for our President, Sir Hew Hamilton-Dalrymple who died on 26th December after a long illness. 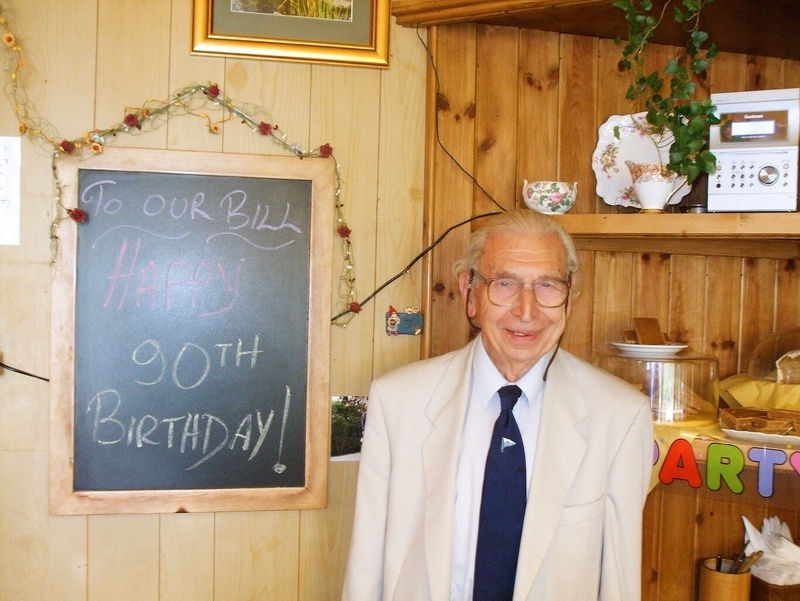 Sir Hew has always been a stalwart supporter and very good friend to ELYC. We are very grateful for all the help he has given to our Club during his term as President. We send our deepest sympathy to his family and are thinking of them at this difficult time. Numerous volunteers at East Lothian Yacht Club have been shortlisted for the RYA Scotland Annual Awards. The winners of which will be announced on 19th January 2019. To make the shortlist is testimony to the amount of time and effort that these individuals have put into the various activities our club offers such as training, regatta & national championship management, race coaching and overall management of the club. Well done to all! We look forward to the 19th of January when the winners will be announced. You can read more, here. As we know, East Lothian Yacht Club is 90 years young this year. We have been busy behind the scenes trying to gather as many old photos as we can, so that we can share them at the upcoming Birthday Bash in November. And also keep them for prosperity on our website! It would be great if members young and old could have a search through their albums and share any old photos they may have of yacht club memories! If you happen to find any, please let us know by emailing webmaster at elyc dot org dot uk. Even better, you could scan them and email them to us at the same email address. Push the Boat Out at East Lothian Yacht Club was a major success with a grand total of 266 participants taking the opportunity to get out on the water in keelboats, dinghies, kayaks and powerboats. The event also saw 30 members join East Lothian Yacht Club as a result and we look forward to welcoming them into the fold!